Are you ready to be fully equipped to mentor biblically, simply, and organically? No matter your season or stage, our training opportunities are designed to equip you to mentor effectively with God-infused confidence. God designed for us to be interconnected together, one generation to another, as we see in Titus 2 and 1 Corinthians 12. To mentor biblically, we have to first follow Christ distinctly. Our mentoring training opportunities simplify the mentoring process and equip you to step out in faith so that you can impact the world around you for the glory of God. Since 2012, we’ve made biblical mentoring simple and have trained hundreds of women . . .
It’s perfect for individual use or as a group Bible study or ministry team training study. Group Mentor Training is designed to equip ministry and business teams seeking to grow their skills as mentors and bring unity to their culture. 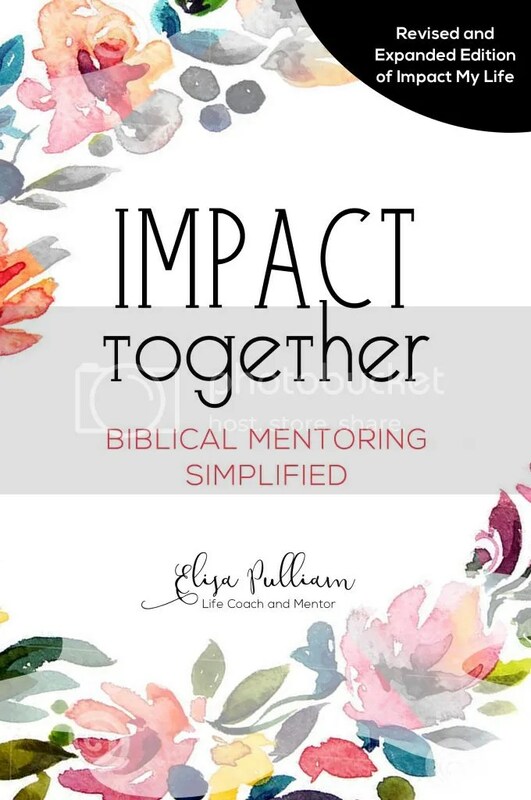 Building upon the concepts in Impact Together: Biblical Mentoring Simplified, this coaching and training experience is customizable and can be done online or in person. To discuss the cost of this type of training and it could work for you and your team, please complete this contact form to set up a free consultation call. Grab this super simple resource containing 100 life coaching questions that will equip you to reach the hearts of those you feel called to mentor. Success! Now check your email to confirm your subscription and get access to the resource. Yes, send me this resource! Would you love to speak into the lives of others in an impactful way? Biblical mentoring isn't as complicated as you might think. I'm here to make it super simple for you so that you can impact the next generation. . . simply, organically, and for the glory of God.